Christmas decorations in Mexico reflect the country's strong Roman Catholic traditions surrounding the birth of Jesus Christ. Vibrant and earth-toned colors, rather than red and green, typify traditional holiday decorations, many of which are handmade. A Christmas tree and Santa Claus are not commonly used for Feliz Navidad, rather, decoration focus on Christ, birth, renewal and light. Mexican Christians culminate their commemorations on Christmas Eve, December 24, rather than on Christmas Day, December 25. 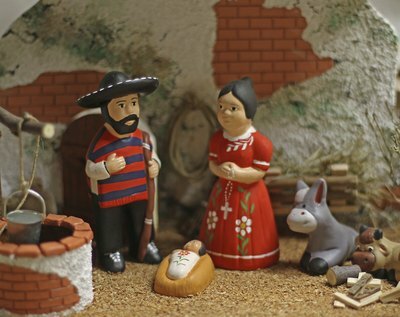 A nativity scene, or el Nacimiento, is probably the most important Christmas decoration in Mexican homes. It could be considered the main icon of the Christmas season. It usually occupies a prominent place in the home, and can be so large as to take up an entire room. The scene is often handmade or a family heirloom. 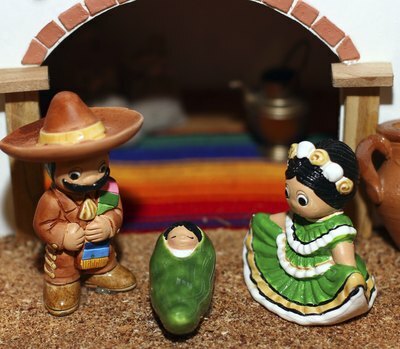 The baby Jesus figurine is typically added to the scene on Christmas Eve. The nativity can be called crèche and sometimes Santos. 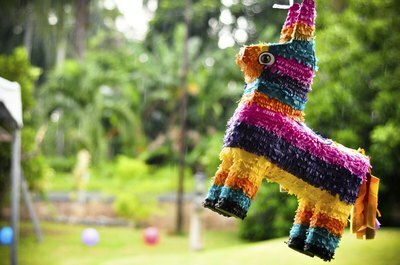 The piñata is part of the decor of many Mexican holidays, including the Christmastime Las Posadas, which means "the inns." Celebrated each evening from December 16 through 24, its nine days represent the nine months Jesus’ mother carried him in her womb. Two children representing Joseph and Mary lead a procession commemorating the search for a place to stay in Bethlehem. Each evening’s party ends with a papier mache piñata in the shape of the Christmas star. The piñata is also used for birthday celebrations. 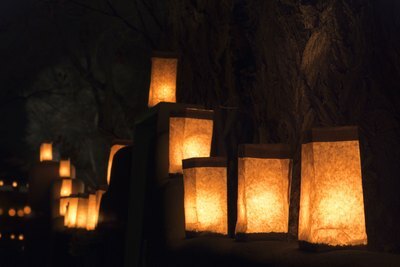 A small bonfire or lit candles in paper bags, also called faroles, are used during Las Posadas, and its culminating day, la Noche Buena, Christmas Eve. They illuminate the path for baby Jesus to bring presents. The lights may have religious themes such as angels, doves, crosses, candles or symbols of grapes, to show abundance. Other light sources are used at Christmas: red and white candles on tables and electric lights in windows and on Christmas trees. 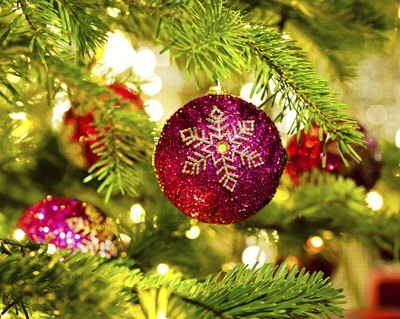 Ornaments for Christmas trees, or arbolito, are often handmade of glass, straw, pottery, and even coal. The trees themselves are usually artificial. The homes hosting the “Posada” also decorate with ornaments. 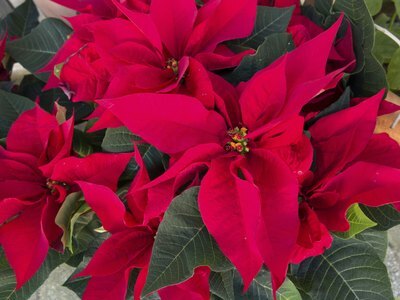 Mexican homes often display poinsettia flowers, or Flores de Noche Buena—which means Christmas Eve flower or “flower of the good night.” Poinsettias have been part of Mexican Christmas decor since the 17th century, when a little child brought green branches to a nativity scene. According to legend, when the child laid them beside the Christ Child, a red star-shaped flower bloomed. Nine ideas for adorning your outdoor area with one-of-a-kind handmade Christmas decorations to enjoy all season long.